Editors Note – much conjecture has been had over Lizzie – as she was not one of John’s children some suggest that she should not be included in the Stanaway family records. The letter of the law would have this being correct, however, she was part of her mother’s life therefore we could conclude that she was part of John’s. I am sure he knew that she was Sarah’s child to another man and as we have seen from his character he cared for his young wife so naturally he would have been involved in her daughters up bringing. It pays to remember that his first child Mary Ann was herself raise to some extent by the Marriners. Elizabeth was born 22 September 1858 in the Kaipara region – no doubt at her grandparents home (birth certificate number 1858/4271). She was born the first daughter of Sarah Ann Clark and the father is said to have been William Collier (???? – ???? ), he was possibly a servant from Bingley, All Saints, in Yorkshire. Elizabeth at about age 9 – Clark Family Collection. At the time of his third marriage to Sarah Ann Clark he had a daughter nearly her age. It is obvious why such a marriage was contracted, when it is disclosed that an illegitimate daughter was born to Sarah Ann on September 22nd, 1858, at Kaipara. One can only imagine the social stigma in the Victorian era to a girl of barely seventeen and her family. This birth was a well-kept family secret, and it seems incredible that the birth was even registered. On the birth certificate the surname is spelt with an ‘e”. (A letter from Charles’ Mother in Bradford, dated 1867, also spells the surname with an ‘e’). The father is listed as William Collier, servant, age and birthplace unknown. Who was this man? A sawyer working for the Clarks? A neighbour? Why wasn’t he forced into marrying Sarah Ann when the situation became known, as so often was the custom? It may have been that William had left the area, before he had known Sarah was pregnant, and no trace of him could have been found. Interestingly there is a William Collier who is in the New Zealand Death Index having died in 1859, as well as other William Collier’s who can be found living in Auckland in 1876 – we will never know. Another mystery is provided by the birth certificate. The girl’s Christian names are given as Elizabeth Heath. The Clarks had known Charles Heath for some time. He was already settled at Omana when they came north in 1852. It may be mere co-incidence that in the year following the birth of this child the partnership of Messrs Heath and Clark was decided upon. Charles Heath – Clark Family Collection. No evidence can be found of the Heaths having any family. A childless couple, they may have intended to adopt the child as their own. By living in close proximity at Whakahara perhaps each family was able to share in the rearing. 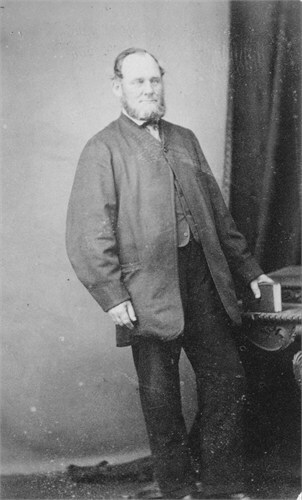 In 1869 Charles Heath died at Whakahara, aged 50 years. It seems worth commenting that a photo of him was kept among the family papers for many, many years. Today a broken hand-carved wooden headboard lies fallen over his grave high on the hill at the Tokatoka cemetery. Elizabeth with Pheobe or Laura Stanaway – Aardvark Family Tree. Sarah Ann’s daughter was given the nick-name ‘Lizzie” and was raised as a daughter by Dinah Clark. After Charles Heath’s death, his widow married the Rev. Breach and moved from Whakahara. 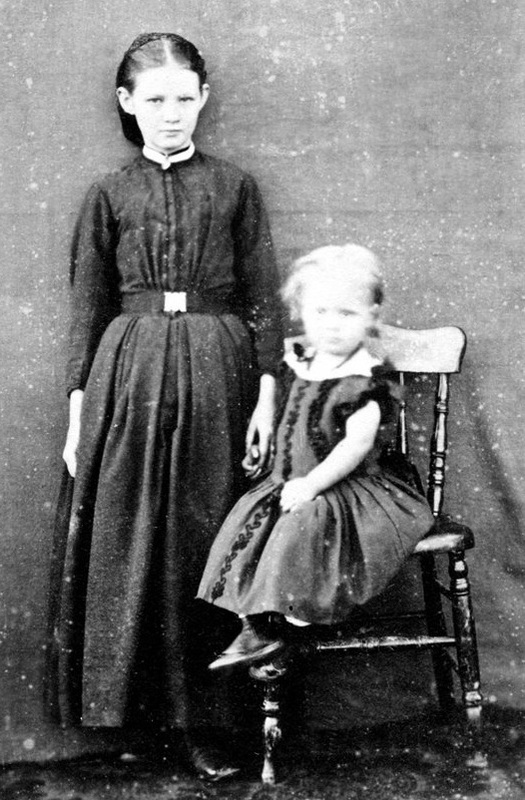 Photos of the period show an attractive, sweetly sad-faced little girl standing close beside her grandmother. The family resemblance between the two is marked. She was known as Lizzie Clark. From further research we know that Charles Heath was a single man until 1869 when he then married and had two children late in life. Charles Heath would have been 39 when Elizabeth was born and we know that he and Charles Clark were business partners running a store together. A number of possibilities could have been at play but It could that Charles Heath was Charles and Dinah Clark’s first choice suitor for their daughter, not only being business partners they could be family, but either Charles or even Sarah may not have agreed to the arrangement. Either way to have the name Heath as part of Elizabeth’s full name would have been because of some significance – of which we will never know. Lizzie’s childhood may well have been similar to her mother’s, to the extent that no school had been built-in the area at this time. Life would have included helping run the household (assuming she lived with her grandmother), with no other children in the house it may have been lonely. She would have been trapped between being too young to grow up with her mother’s siblings and much older than her cousin’s from the same who did not produce until the mid 1860’s. It could be expected that she would have spent time with Sarah and John James at Tokatoka, an example of this is from the photograph of the Tokatoka Hotel in the 1870’s we believe she is one of the children on the balcony. Perhaps she worked there as help to Sarah. We will never know if she knew that Sarah was in fact her mother, perhaps someone in the family can confirm what the arrangements were. Elizabeth Close up – Clark Family Collection. The lonely looking little girl of the 1860 photographs, Elizabeth Heath Clark, when aged 17 years, married John James Parker, Sawyer, on September 4th, 1875 at Whakahara. Before Elizabeth has much of a childhood she marries on September 4, 1875 at the age of 16 to John James Parker, at Whakahara, Northern Wairoa (Marriage Certificate number 1875/2052). Elizabeth, aged 18 years, and John have their first child, Ellen on 26 June 1876, followed by Charles Clark on 27 October 1877 both in Te Kopuru. From the Electoral rolls we find that the family move from Te Kopuru to Auckland, firstly to Grey Street then to Nelson Street. Another son John Ernest is born in October 1879 (Grey Street), and is followed by George Chetwyn on 7 July 1882 (Nelson Street). 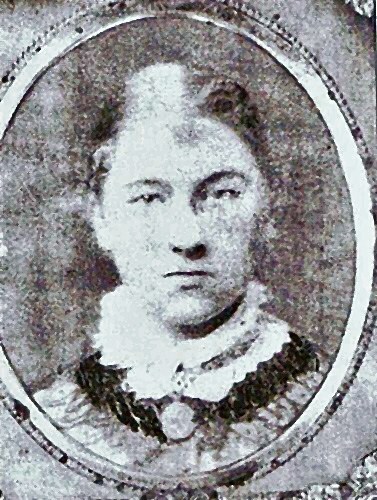 On 16 November 1883, Ellen her eldest child dies aged 7 years. By 1885 Rennie Heath was born on 25 July 1885 in Auckland. POLICE COURT THIS DAY – Before Dr Giles, R.M. – Alleged Assault. John Parker was charged that he did, on the 30th of August, at Auckland, unlawfully, assault, and beat Elizabeth Parker, his wife, by seizing her by the throat and threatening her with a hammer. Defendant pleaded not guilty. Mrs Parker deposed that at 10.30 o’clock on the night in question she was in bed, when her husband came in and held a candle over her face. He started calling her very vile names. He said that he would be hung for her. He then picked, up a hammer and threatened to knock out her brains. She screamed out and asked him if he was mad. He said that she had driven him to the extremes, and he would carry it out. She asked him if she should leave the house and he said, yes, that was what he meant her to do. Witness began to dress, when her husband seized her by the throat. Witness called the girl and afterwards went into the girl’s room for the remainder of the night. In the morning her husband tried to break open the bedroom door with an axe. She then opened the door, when he told her to clear out before dinner-time. At this stage Messrs O’Meagher and Stone appeared in Court and apologised for not having been present at the opening of the case. The former intimated that he appeared for the defendant, and the latter for the plaintiff. The Court was adjourned for about ten minutes in order to see if an amicable arrangement could not be made. At the expiration of the time allowed for reconciliation, the legal gentlemen returned into Court and intimated that the case was settled. LAW AND POLICE – SUPREME COURT. F. Stanley v. J. J. Parker. – £8 for money lent. Mr. Napier appeared for the plaintiff, and Mr. Cotter for the defendant. 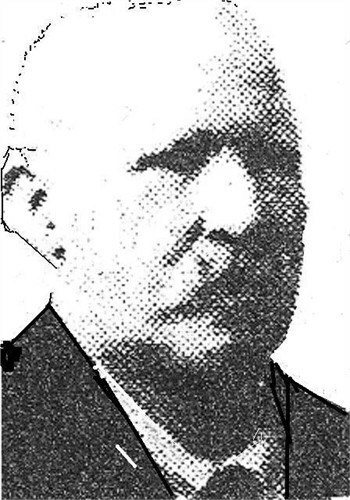 Albert Stanley, the plaintiff, deposed that he had been lodging with defendant in Manchester Street. Defendant asked him for money one Tuesday to pay for drainage work on his property, and on the following Friday witness gave him £8 in notes. This money had not yet been returned. Defendant’s wife was present when the loan was given. Cross-examined Witness had been boarding with defendant for about four years. He did not know that he was the cause of difference between defendant and his wife. Witness declined to state where he was living now. He knew where Mrs. Parker was living, but he would not state whether he was living in the same house. The witness was cautioned by Mr. Cotter, and, when further questioned, he said he was living in the same house with Mrs Parker, but they were not as man and wife. He had been living there a week, and was previously living at the Pacific Hotel. He did not know the name of the street where she was now living he was the only lodger with Mrs. Parker. Witness did not know that Parker and his wife had words about him he had no idea of the cause of the difference between Parker and his wife. Parker sold his furniture by auction witness bought the piano, and had it taken to Mrs. Parker’s house. He did not know that Mrs. Parker went under any other name. Witness paid Mrs. Parker £1 a-week for lodging. He asked Parker for the £8 on a Sunday morning, and defendant then said he would give it on Monday, but he did not do so. Witness did not ask Parker for the £8 when he was leaving the house; he expected him to pay without being asked. He (Stanley) did not think that any impropriety took place between him and Mrs. Parker Defendant’s wife had carried on a business for which witness found the funds, and paid for the goods. Parker knew of this arrangement. Witness did not know that he was the cause of the separation between defendant and his wife. Mr. and Mrs. Parker lived in the house together during the five months for which the shop was carried on, and defendant did not make any objection to witness’s advancing the money to purchase the goods. Mrs. Elizabeth Parker, wife of the defendant, deposed that a few weeks ago she and her husband executed a deed of separation. Mr. Stanley had been lodging in the house for the past four years. She was present when Mr. Parker asked Mr. Stanley to lend him £8, and he would pay interest on it. This was to pay a Mr. McSheffrey for some drainage. The money was subsequently handed over. Cross-examined Witness was now residing in a cottage in Newton Road. There was nobody residing in the house with her except her children. She moved into this cottage on the previous day. Witness had been compelled to move from several houses owing to her husband’s cruelty, and she had to hide from him. Stanley would come into the house where she was living, and eat his meals and go away again. She did not, therefore, look upon him as a lodger he did not live there permanently. Witness had a piano, which her husband claimed that piano was now in a house which Stanley had taken. She did not know the house nor the name of the street. Her husband’s persistent cruelty was alone the cause of their separation. For the defence, John James Parker, the defendant, gave evidence, and denied that plaintiff had ever lent him £8. He had had no money transactions with the plaintiff. Cross examined Witness had not had unworthy suspicions of his wife during all the time of their marriage. He had never treated her cruelly and he had the utmost confidence in her until this unfortunate affair between his wife and the plaintiff. When his wife left him he had made the utmost endeavours to bring her back to her family, to save them from ruin, and they had gone to ruin now. He had gone to her and said, “In the name of God what is coming between us?” She replied, I don’t know nothing but your evil suspicions. Witness was examined at some length with respect to his savings, and his ability to pay for the drainage mentioned, and said he had on various occasions kept £100, £150, and even £300 in his coat pocket for months together, whilst he had at the same time an account running in the Savings Bank. He had never conversed with his wife about a loan from Stanley; this case was only a conspiracy to do him harm. His Worship said that though the defendant could not show anything like a satisfactory account as to his means, the question arose whether it would be safe in a case of this kind, having regard for the evidence given by the plaintiff and his witness, to decide against the defendant. The plaintiff and the defendant’s wife, whose relations were, to say the least of it, extremely ambiguous, had agreed in several particulars in their evidence, but under cross-examination they had contradicted each other, and their testimony was of such a nature that no reliance could be placed upon it. He therefore gave judgment for the defendant. The costs were £1 11s 6d. From the above events, we see that Elizabeth moves out, she takes her children with her, and starts again with Alfred Standley. An older Elizabeth – Clarke Family Collection. At some point between 1888 and 1889 they decide to move to Australia, Rennie is the only child Elizabeth takes with her when she and Albert leave for Australia. 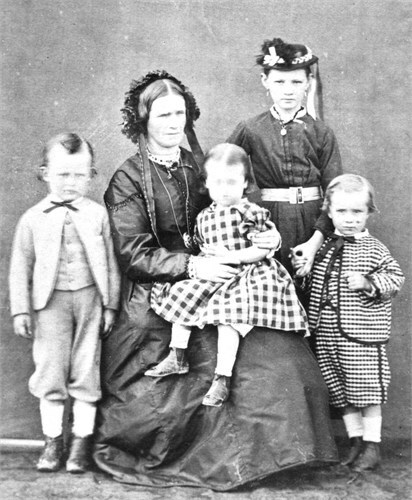 Her older children appear to remain with their natural father John and his family, in New Zealand. This “some point” was the termination of AFG Standley’s employment at Auckland; he had been sent to Auckland from Bradford to “bolster” the newspaper business on a 5 year tenure. It was in 1888 that he sought work in his trade at the Melbourne “Argus” but unfortunately to no avail so headed northward to Sydney. Whether or no he succeeded in Sydney town is still a mystery, but my grandfather was born there at “The Rocks”. After his arrival to Brisbane, he worked for the Brisbane Telegraph as stereo typer with his son (pop) as his linotyper. By 7 October 1889 Elizabeth has had another son, Albert Frederick, born in Sydney, New South Wales, Australia. From Sydney she moves with her new family to Brisbane, Queensland, Australia. DIVORCE – John James Parker (Petitioner) Elizabeth Parker (respondent) and Albert Edward Standley (co-respondent). – Mr Mahoney to move, on behalf of petitioner, that the decree nisi granted herein be made absolute. The divorce allows in 1895 Elizabeth to marry Albert Frederick Gayford Standley, in Queensland Australia (Marriage Certificate number B017373). It also allowed John to marry Catherine McDermott. Another son named Harold Robert is born on 19 June 1896 this time in Brisbane, Queensland, Australia. Unfortunately Harold dies 6 July 1904 aged only 8 years old. Elizabeth lives the rest of her life in Brisbane, Queensland, Australia until her death on 14 July 1938 (Death Certificate number B04266) aged 79 years old, and is buried in the Balmoral Cemetery and shares the plot with her son Harold, Albert out lives her by three years. John was born in March 1851 in Brentford, Middlesex, England to James Parker (1822-1897) and Ellen McEntree (1825-???). He came out with his parents to New Zealand – date unknown. We have no record of John’s early life other than he was a 24-year-old sawyer when he married Elizabeth. 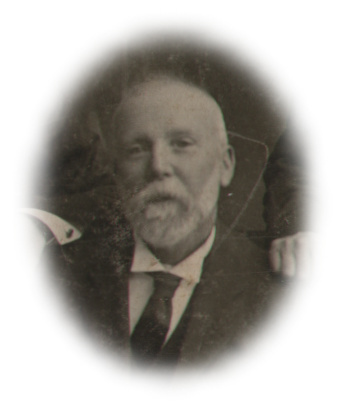 John remarried in 1895 to Catherine Agatha McDermott, and has a further 3 children, Arthur James (1897), Loline Agatha (1898) and Ernest Sainty (1914). John remains in Nelson Street with, it appears, his wider family and passes away on 5 May 1932 aged 82 in Auckland (Death Certificate number 1932/4125). Albert was born on 12 April 1863 in Guiltcross, Norfolk, England to Robert Standley (1819-1879) and Mary Anne Gayford (1826-1909). He came to New Zealand it appears by his own accord, his parents remained in Norfolk. From the above we understand that Albert had been living with the Parker’s as a lodger for four years, so would have been in New Zealand some time before 1884. When Elizabeth and John separate Alfred is found to be living with Elizabeth and her children, unofficially. By all accounts it looks as though Renny may have been Alfred’s son and that John had his suspicions that his wife and Alfred had been lovers. The fact that Renny was taken to Australia and the other children remained may be another indication of his origins. Alfred has his occupation listed as a stereotype – (One who makes stereotype plates. Stereotype the method or process of printing in which a solid plate or type-metal, cast from a papier-mâché or plaster mould taken from the surface of a forme of type, is used for printing from instead of the forme itself). Alfred lives the rest of his life in Brisbane, Queensland, Australia until his death on 13 November 1941 (Death Certificate unknown). Congratulations on the site – looks like a lot of hard work – but worth it. The identity of Lizzies father is a bit obscure….Collier or Heath – one of those mysteries that shall remain forever so…..I tend towards Heath with Collier put out as a red herring. John – I have added a page on Charles Heath and the link is on Lizzie’s page (click on his name on her page). After your post I did some digging and found that he did not get married until quite late in life and his first child was born a year before his death and the second was born after his death (his wife being with child at the time he died). Another option could be that he was made the God father to the fatherless child (and his name being included was a recogniion of this) as he was a close friend to the family or further still an option may have been to add some pressure on him in the hope that he might marry Sarah. Through different sources we know that Charles Heath (???? – 1869) was a an early settler and neighbour to the Clarks – was married and had two children of his own – He is buried in the Tokatoka Cemetery (in fact he was I think the first person buried there – his headstone which is wooden is just still holding together. He and Charles Clark (Sarah’s father) were business partners at one stage. I did do a little reseach on him (but not complete) as he was also a friend of JJ’s – I was had started another page in this web site for “Persons of Interest” with Charles Heath being one of them along with Logan Campbell, The Marriners, The Clark’s and other names which appear in JJ’s life just as a historical back ground. – a project for the future.